A terribly tasty family card game. Monster Cafe is a quick playing card game for players looking for exotic and appetizer menu items like spaghetti and eyeballs and roasted roadkill, etc. 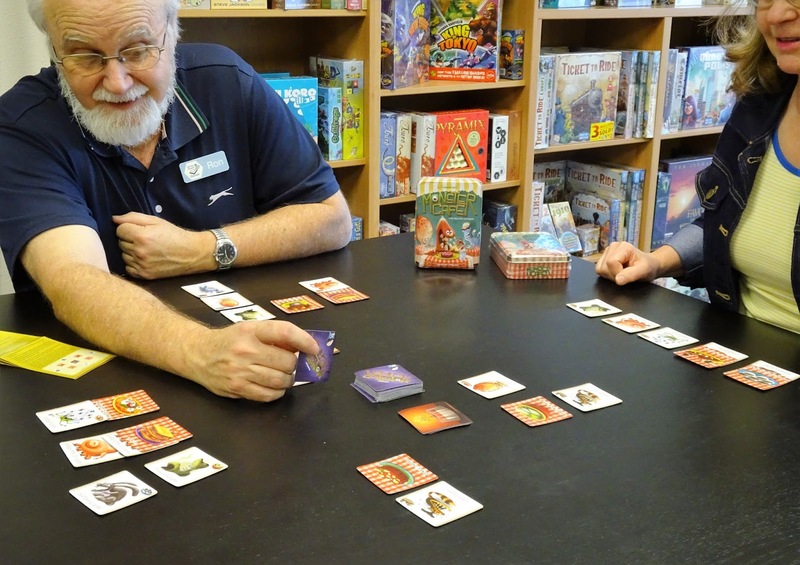 Four tables each featuring a select menu item will be available in each of the four rounds for seating monsters along with a deck of monster cards. Each monster has an appetite for a particular food item that is indicated on the card. The object of the game is to score the most points by collecting monsters and matching them up with their favorite food. On their turn, players can either draw a monster card to place at one of the available tables, or they can claim a table that already has monsters seated at it. A table can have no more than 4 monsters. And, a player can only claim one table per round. 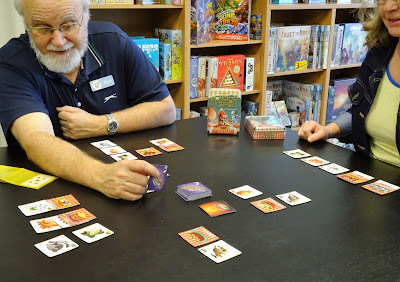 After four rounds, a player scores one point for each monster they have claimed that matches the food on their claimed table cards. Any monster with no food to his liking scores one minus point. Players should not gather many angry hungry monsters without the right food on the table. The cafe manager who satisfies the taste buds of many monsters will be the winner of Monster Cafe. 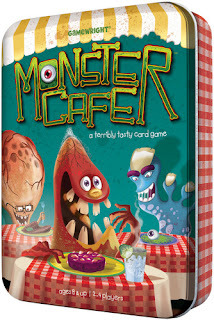 We have an open copy of Monster Cafe available in our Demo Games Library for you come in and try.